We decided to rent Midnight in Paris starring Owen Wilson and Rachel McAdams. I am not a huge fan of Romantic-Comedies - but I like both the main stars and was hoping that since the movie takes place in Paris, there would be some gratuitous food shots. After all, Paris is not only the City of Love - it is also the home of fine dining. I know, a silly reason to pick a movie but I am an extreme foodie - I LOVE all things food!! 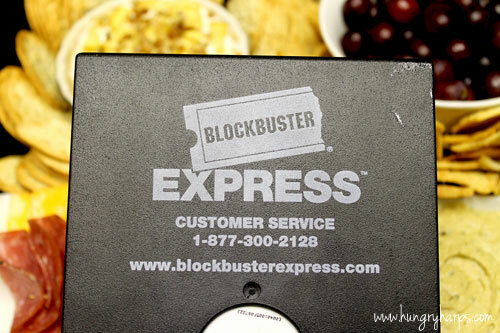 There is a Blockbuster Express inside our local Safeway grocery store - so we went online to Blockbuster Express to see if Midnight in Paris was available there. Lucky for us, it was available and we were able to reserve it online!! Let me tell you, reserving it online made it SO easy to pick up the movie. All we had to do was swipe the card we used to reserve the movie and out it popped! 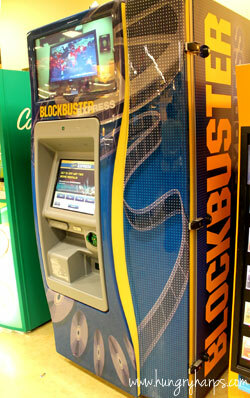 For some rental deals check out Blockbuster Express on Facebook and Twitter. After we picked up our movie it was time to pick out what we wanted to snack on. 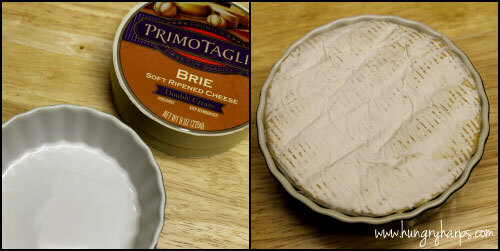 Since the movie takes place in France - I headed straight to the Brie Cheese. 1, because I LOVE cheese and 2, because it is French. 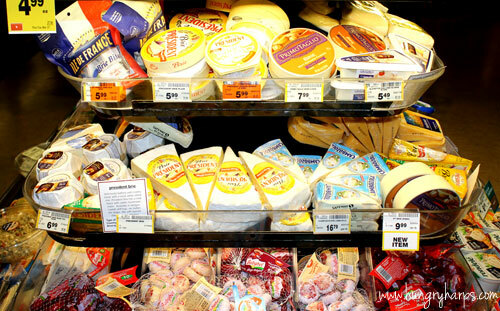 Safeway has a pretty good selection, they even carry Brie Bites which I had never seen before. 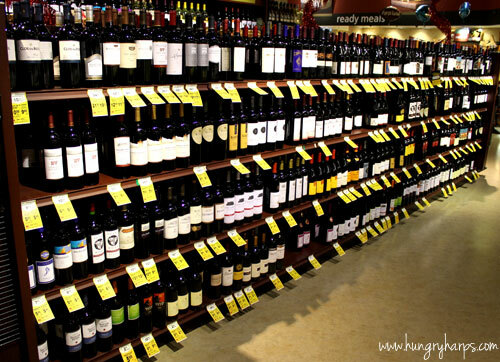 The wine was right next to the cheese - it just felt right to grab a bottle for our date night. Safeway had Sutter Home on sale for $3, so I grabbed a bottle of Merlot. I can't forget to tell you about this find! Sabra Basil Pesto Hummus. I couldn't grab it fast enough. :) I can't believe I didn't know about this - but let me tell you, I will not be forgetting about it anytime soon! There was a wall of Pita Chips next to the Hummus - easy peasy! It is super easy. First get your cheese and an oven-safe dish. Heat the oven to 350 and place cheese in dish. I found this round dish at the dollar store. Score!! 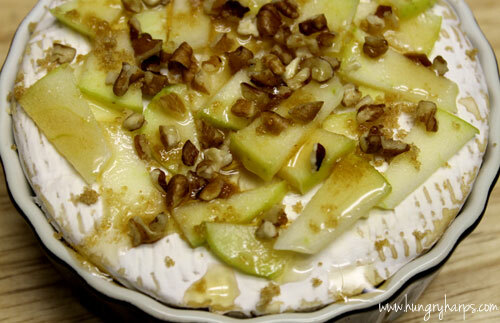 Top cheese with chopped apples, pecans, cinnamon and maple syrup. I didn't measure anything, just added ingredients until I was happy with how it looked. 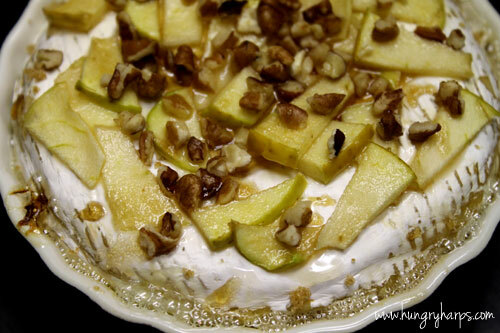 Bake for 15 minutes or until apples are tender. Oh I love the idea of adding apples on the baked brie. YUM!! Yay! Today is my hubbie and my anniversary and I was trying to think of something fun we could do at home (we are having our real "date night" at the end of the month when grandma can watch the kiddos!) This is such a good idea! Hi Jess! 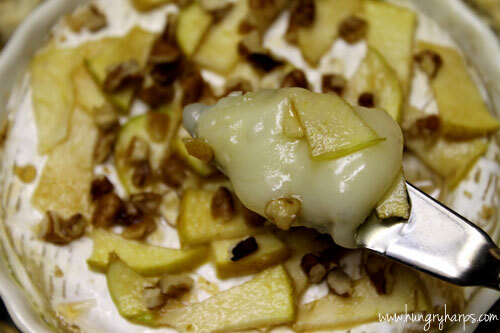 I love this idea for baked brie! I have a surprise for you on my blog :) See you there! Ooooh, this is my kind of heaven. YUMM. 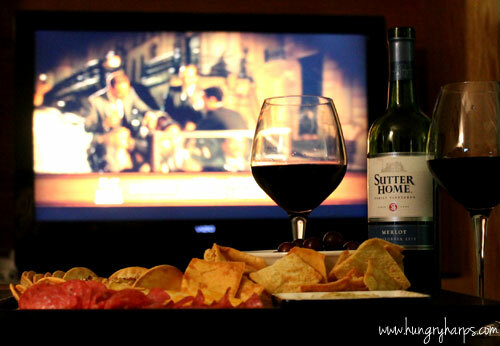 My kind of date night! 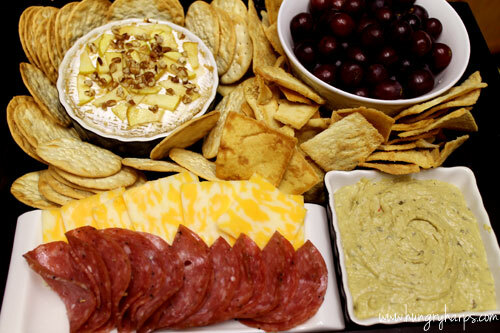 The snacks look delish! I am all about the food too! 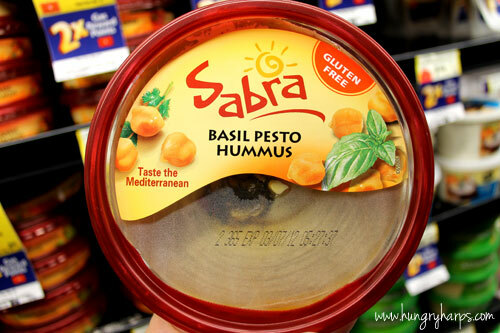 I can't wait to find the sabra basil pesto hummus it looks delish! 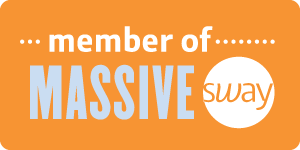 Have a wonderful week and congrats on the blog award from Anna at Crunchy Creamy Sweet!